What is our experience? Here are just a few of our data discoveries that have made headlines. The security research center was founded by Bob Diachenko, Director of Cyber Risk Research and Jeremiah Fowler, data analyst and security consultant. In 2014 they created cyber security research projects that discovered the personal data of millions of people worldwide. Here are just a few of those stories. 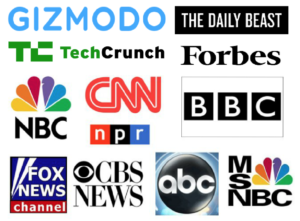 In previous companies and independently we have made major discoveries that have helped make the internet a safer place. Here are just a few of the news headlines from some of our discoveries. Our biggest discovery to date was found in Jan 2019 and contained millions of sensitive files including home loan applications, credit reports, bankruptcy records, and more. 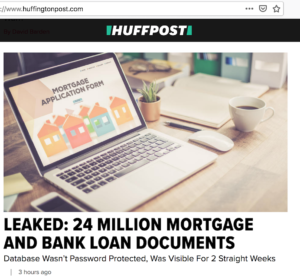 It was covered by hundreds of media outlets and was reported as one of the biggest discoveries since the Equifax 2017 data breach exposed the sensitive personal information of 143 million people. TechCrunch is a leading technology media property, dedicated to obsessively profiling startups, reviewing new Internet products, and breaking tech news. It is safe to say that they are the leading authority on tech and startup culture. 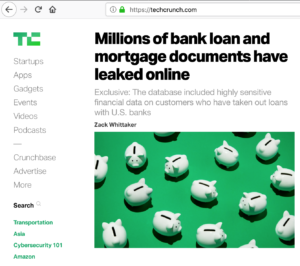 Our discovery was the top story of the day and would not have been possible with out the help of Zack Whittaker the security editor at TechCrunch. The database had more detail than what would have already be publicly available through the Alaska Division of Elections. … investors in Bezop cryptocurrency, including photocopies their driver’s licenses and passports, according to a report from Kromtech Security. Researchers from German security firm Kromtech Security allege that until recently, MBM Company was improperly handling customer details. Kromtech did not attempt to access any of the data for legal reasons, and … disclose concerns to improve the state of security on the Internet.”. … researchers at the Kromtech Security Center. The database was later stolen by cybercriminals demanding a ransom only payable in bitcoin. The files, more than 600GB in size, were discovered on August 24 by the Kromtech Security Center while its researchers were investigating an ..